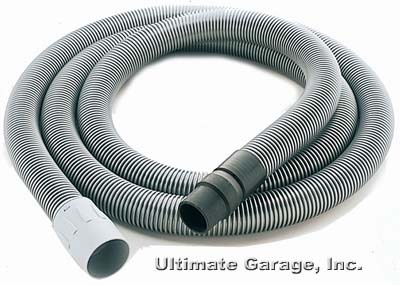 Oil Resistant Hose - 1" x 16.5' (5m). Great for use with lightweight accessories (eg, pet grooming attachments). Includes rotating adapter for connection to any vacuum and a reducing sleeve at the tool end.